CANTON, Mass. (September 29, 2014) – Today, September 29, is National Coffee Day, and Dunkin’ Donuts is celebrating the holiday and its new Rainforest Alliance Certified™ Dark Roast Coffee in some very bold ways. Today, guests can walk into any participating Dunkin’ Donuts restaurant across the country and receive a free medium cup of Dunkin’ Donuts hot Dark Roast Coffee, with a limit of one per guest. 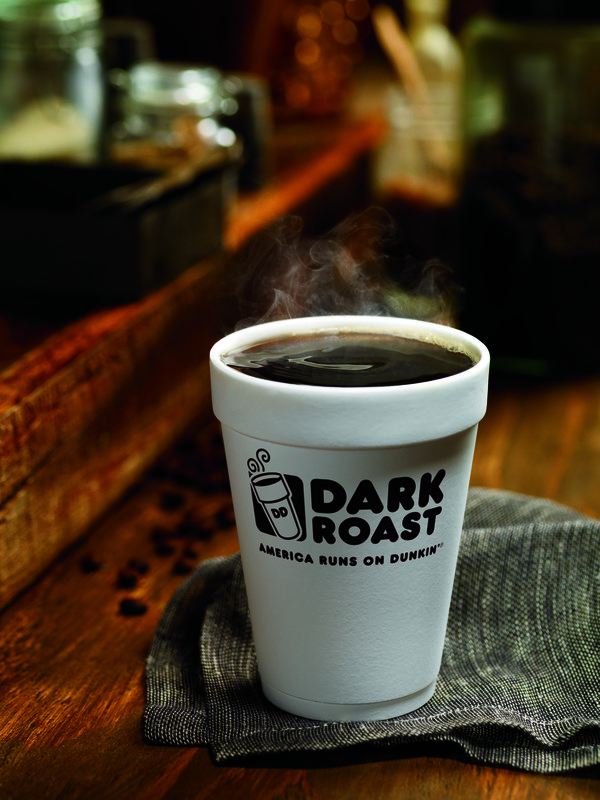 The new Dark Roast, launched nationwide last week, uses a unique roasting process to create a bold flavor and smooth finish without the bitterness typically associated with most dark roast coffees. In honor of Dunkin’ Donuts’ bold and smooth new brew, the brand is giving people a chance to “DDance for Dark Roast,” a special social media contest challenging everyone to share their boldest, smoothest dance moves. Beginning today and continuing through October 12, people can visit the contest website DDanceForDarkRoast.com which features a special introduction video from host of E! 's "Untold" and “Live from E!” Maria Menounos. At the website, fans can download the song “Clap Your Hands” by Richey Lam, record themselves dancing to the song and post their video to Twitter, Instagram, Vine or Facebook using the hashtag #DDanceForDarkRoast. Ten winners will receive free Dark Roast Coffee for a year, and one grand prize winner will receive $5,000. No Purchase Necessary, 18+ to enter, legal US residents only. For full rules see DDanceForDarkRoast.com. Dunkin’ Donuts is also helping guests bring the National Coffee Day celebration to their homes, with all varieties of 16-ounce packaged coffee and Dunkin’ K-Cup® packs available for $6.99 at participating restaurants nationwide while supplies last. Additionally, beginning tomorrow, September 30, through October 5, guests can also enjoy a medium cup of Dunkin’ Donuts hot Dark Roast Coffee for the special price of 99 cents. 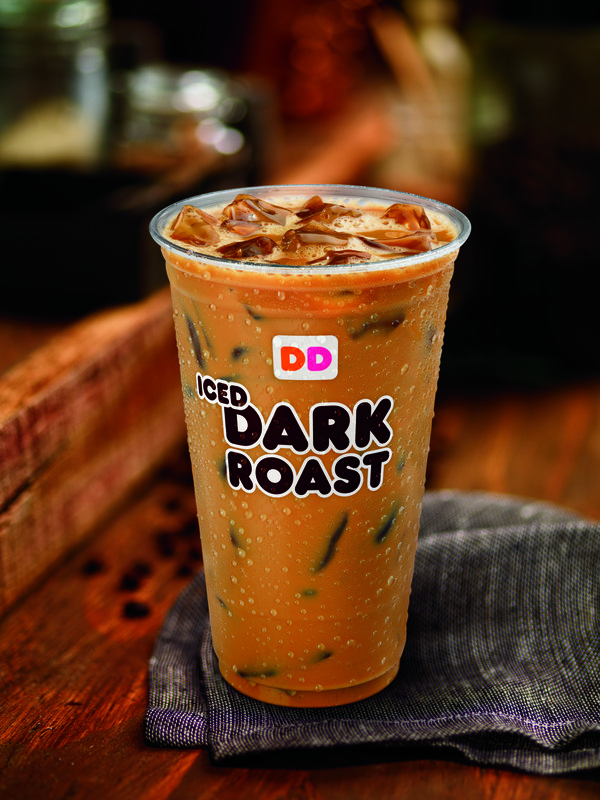 Dunkin’ Donuts’ new Dark Roast Coffee is served either hot or iced, and is available for purchase to brew at home in both packaged coffee and in K-Cup packs, for use with Keurig® Brewing systems. The Dark Roast features the Rainforest Alliance Certified seal, indicating that it is made with at least 30% coffee beans sourced from Rainforest Alliance Certified farms. The Rainforest Alliance is an international nonprofit organization that works to conserve biodiversity and ensure sustainable livelihoods. Rainforest Alliance certification helps to protect wildlife; safeguard soils and waterways; and improve quality of life for workers, their families and local communities in order to achieve true, long-term sustainability. On National Coffee Day through October 3, Dunkin’ Donuts continues to offer guests an easy way to help support the brand’s efforts to serve its neighborhoods. The Dunkin’ Donuts & Baskin-Robbins Community Foundation’s (DDBRCF) National Community Cups Program is inviting guests to make a $1 donation at Dunkin’ Donuts and Dunkin’ Donuts/Baskin-Robbins combo restaurants nationwide. In appreciation, guests will receive a paper icon, featuring a coffee cup, to sign and display at the restaurant. All funds raised will support The DDBRCF’s efforts to serve local communities by taking care of their basic needs: hunger, children’s health and safety. Launched in 2006, The DDBRCF has granted more than $4.6 million to local charities.